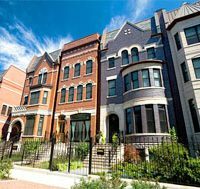 Take advantage of an exceptional investment opportunity in the beautiful city of Chicago, USA. Fixed return of 12% per annum. No need to register to pay US taxes for non US residents. No need to open a US company or bank account. Secure alternative investment involving one of the largest title insurance companies in the US. Property management, trading and development team in place with combined experience of over 40 years. Interest and capital repayments paid in the original currency in which the bonds acquired are denominated. Investment can be made in GBP, USD and EUR. Low entry levels of GBP 10,000, USD 10,000 or EUR 10,000. To take advantage of the exceptional returns without the hassle of direct ownership. No worries about maintenance or refurbishment issues compared to direct ownership. No rental void periods compared to direct ownership. Fixed contractual interest either paid or compounded every 6 months dependent on your choice of bond. Short to medium term. Returns and Redemption payments are concluded after 3 years. All bondholders have a first ranking fixed charge over the shares of CCP LLC, a wholly owned subsidiary of CCG PLC that will own all properties purchased with proceeds of the bond issue. 85% rule. The amount of Bonds in circulation cannot exceed 85% of the value of the property portfolio.